The best way to get to know Joburg is to hang out with an insider. In our Ask a Local series we chat to our favourite Joburg city people to get the lowdown on what makes the place unique. 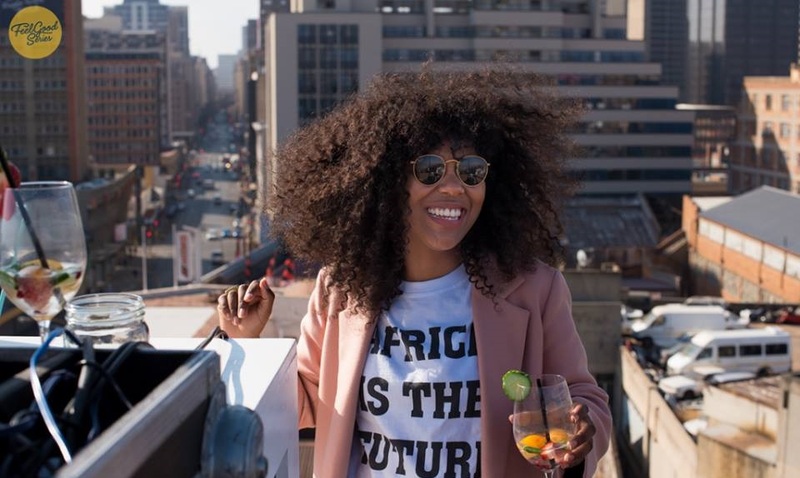 This week Nandi Dlepu shares her views on Joburg with us. 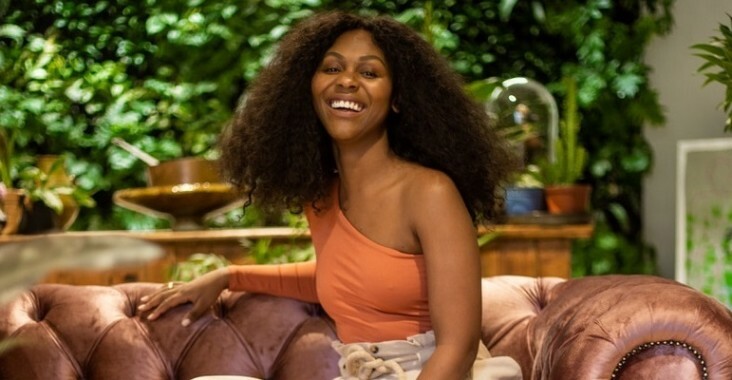 NANDI DLEPU runs the creative studio Mamakashaka, creating arts, lifestyle and culture content and experiences for individuals, brands and communities. She is also known to many as the founder of the Feel Good Series, a super-cool urban rooftop party series which we love for its eclectic DJ sets and unusual downtown locations, and co-host of the Women in Bloom conversation, where local female entrepreneurs working in the creative industries share their experiences. Don’t miss the September edition of the Feel Good Series at King Kong in Troyeville on Saturday September 22. My drive and perseverance are some of the traits that define my Joburg persona, being that this is the unofficial city of hustlers and big dreams. Though I wasn’t born here, I have spent most of my life in Johannesburg and consider it home. Having lived in small towns, I love the scale and bustle of Johannesburg and after my two year stint in Cape Town I saw my appreciation of the diversity of this city grow even more. My favorite suburb is Craighall Park mainly because I grew up there and so I’m very sentimental about the memories that can be found in its pockets and surrounds. It’s a song away from Parkhurst and Rosebank, areas that have some of the best restaurants in Joburg, and I love to eat! Favourite bar or afterwork hangout spot? Mix cocktail bar at Keyes Art Mile. I work from Mesh Club, the co-working space and community adjacent to it, so it’s incredibly convenient and it doesn’t hurt that the space is beautiful and has become a social hub for creative entrepreneurs. So I get to have a drink and also meet some really cool and like-minded individuals. I don’t really have a favourite restaurant but more like favourite restaurants for different meals or dishes. Nice in Parkhurst is my go-to for breakfast. Their half and half hits the spot. Fisherman’s Plate in Cyrildene for Chinese food, and The Great Eastern Food Bar in Melville has an amazing trout which I always have with the coconut rice side. There’s so much the city has to offer. Home. Be it my own place in Craighall Park or my partner’s apartment in Maboneng. I believe that a place to relax is what all homes should offer. One thing no one would expect to hear about Joburg? How amazing the people are. On weekends you’ll find me … At The Artivist, a new bar in Braamfontein. Just 3?! I think visitors should spend a Sunday in Maboneng, a day in Soweto and if you’re under 30 a Saturday in Braam. Top tip for a first-time visitor to Joburg: Follow Johannesburg In Your Pocket and make sure you attend all of my events! (Now you see why we are such fans 🙂 – Editor’s comment.) Either the Women In Bloom conversation or my monthly party, Feel Good Series. Best thing about Joburg? It offers so many possibilities. In many ways it’s still a young city so there’s opportunity to create or contribute to the social currency. If you didn’t live in Joburg where would you like to live and why? In South Africa, maybe Cape Town because it’s a melting pot of so many countries so it offers exposure to people and mindsets from all over the world without necessarily having to travel. In the world, New York and if I need to say why then you should get a ticket and go see, experience and feel it for yourself! It has amazing creative energy. Three words that describe this city…. Inspiring. Competitive. Creative. Follow Nandi on Instagram at @mamakashaka and on her website mamakashaka.co.za.